Killed: Samuel Sookdeo, 31, of Couva, who was gunned down at his girlfriend’s house in Union Village, Couva on Tuesday night. 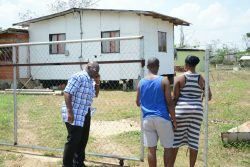 (Trinidad Express) The family of slain Couva fish vendor Samuel Sookdeo were bracing for more gunfire during his wake last week. But with increased police patrols in the area, they believe that the officers prevented another attack. 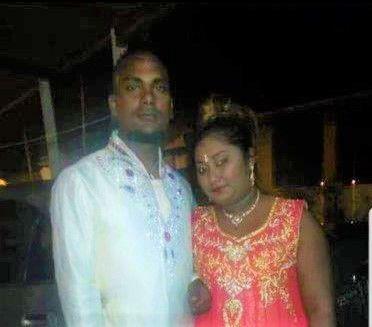 Sookdeo, 31, also of Union Village, was shot dead on the night of January 1. His killer, dressed in camouflaged clothing, shot Sookdeo at least six times at close range, and injured two other men. 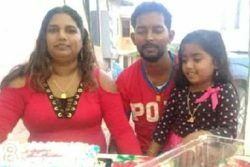 The shooting occurred around 10.35 p.m. just as Sookdeo, his family and friends had eaten a meal of duck and dhalpourie, and were walking to a shed to continue the New Years’ Day festivities. Sookdeo’s wife, Shivani Ramjit, had said Sookdeo was marked for death and had a lot of enemies in another village. Ramjit said she too had received the threats on her Facebook account in July, and told Sookdeo about them. “We were expecting that people would try to shoot up the wake but there was a lot of police patrol so nothing happened. The funeral also passed quietly and I am happy the police are patrolling the area more regular”, she said. Ramjit said: “I am not fearful. I have my family support throughout and I know they have my back”. Ramjit said she and Sookdeo lived together for two years and he left behind his a life of illegal drugs when he began a relationship with her. Police said they did not know the motive for the killing but that Sookdeo had pending matters in court for firearm related offences. 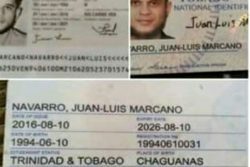 There have been no arrests in the killing, police said.